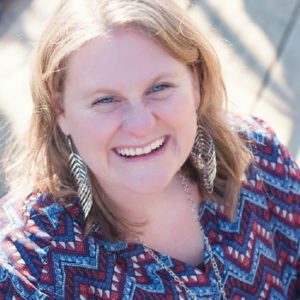 Jenn, founder and Executive Director of Coming Alive Ministries, has a desire to provide an invitation to Come Alive in Christ through conferences, retreats, and written resources. Jenn started her love of speaking and teaching the word of God when she got her first Precious Moments Bible at the age of eight years old. She used to have her friends gather on the playground and come to her Bible club. Jenn now has an active international speaking ministry. Jenn has written five books, her latest full of stories of laughter and faith, Confessions of a Coffee Cup Collector. With a Master’s degree in Trauma counseling, Jenn is blessed to travel the world ministering in post-disaster situations and third world countries. Jenn lives in Tennessee where she loves to drink strong black coffee, collects way too many coffee cups, and travels the world on one Jesus adventure at a time. Jenn will be teaching one breakout session, a morning devotional, and taking 15-minute appointments. Do you have a dream to write a book/start a speaking ministry or a non-profit? In 2012 Jenn began the wild faith adventure of starting her dream non-profit ministry, Coming Alive Ministries, after attending Speak-Up. Do you dream of writing a book? After five self-published books Jenn would love to meet with you and cheer you on. Do you dream of developing a speaking ministry? Jenn would love to answer questions about how to build and establish a speaking ministry or a non-profit. Jenn has traveled to 21 different countries sharing the Word through Coming Alive.